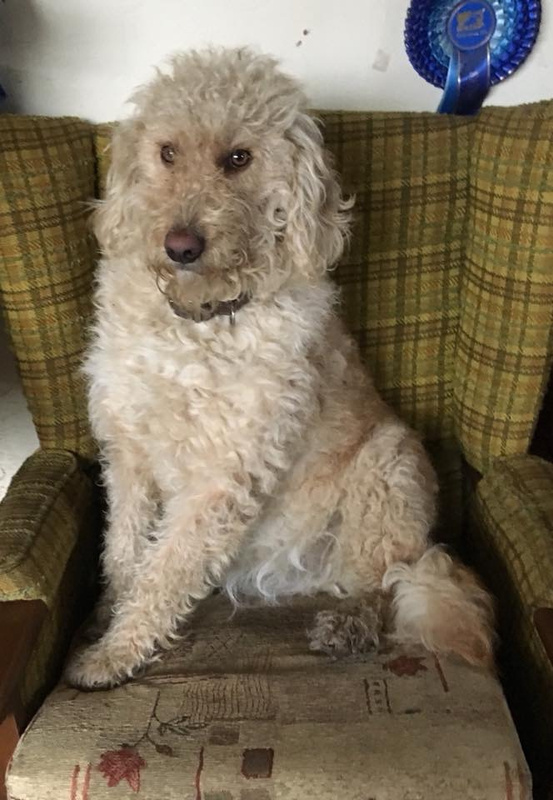 F3 labradoodle NORBIT. We choose Norbit due to his lovely temperment and comprehensive health test. We plan on repeating this mating in 2020, so what this apace. 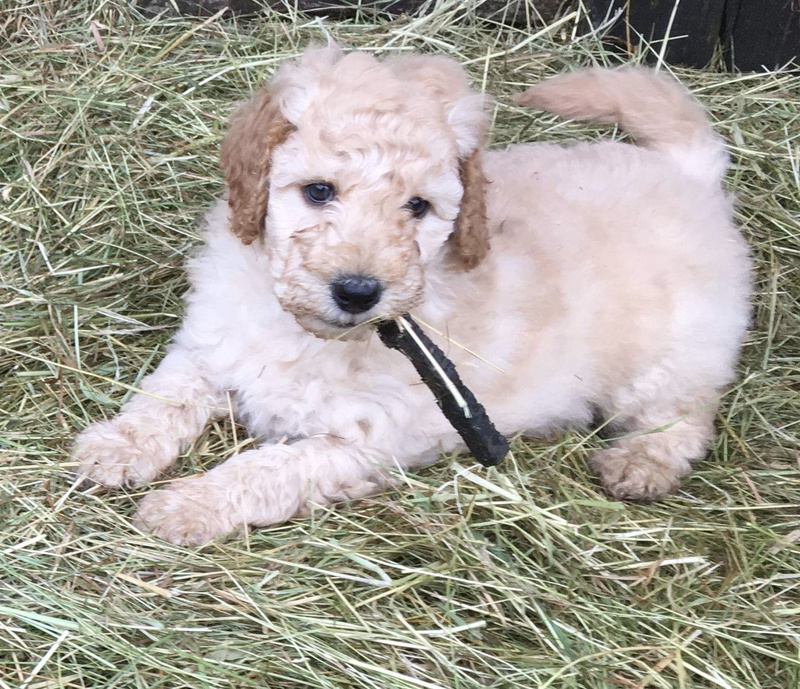 Jenny, is the daughter of our lovely F1 Labradoodle Jessie and grandaugher of our amazing miniature poodle stud, Tanboree Golden Cruz (big dog). Jenny was born in 2017 and has just produced her first little of Stunning puppes in December 18.
is now enjoying her retirement on the farm. yellow Labrador Custard. 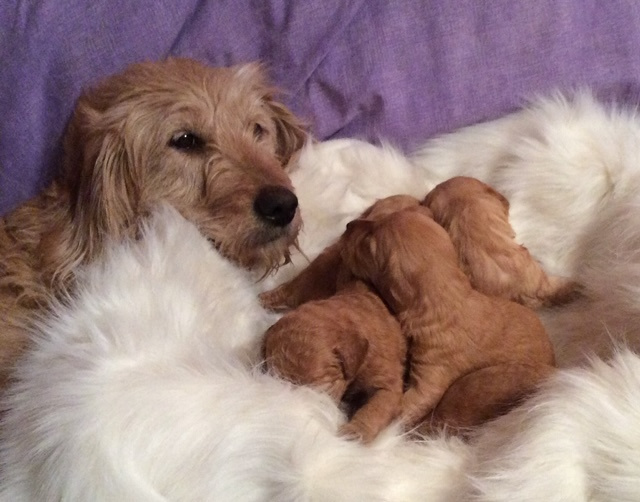 Jessie has produced us two amazing litters of F1B puppies.